Knowledge of your home is the best tool that you can have as a homeowner. Included with every inspection is a free monthly home maintenance email newsletter that is customized to fit the systems and location of your home. This newsletter is available at your request only so that you only receive emails that you request. 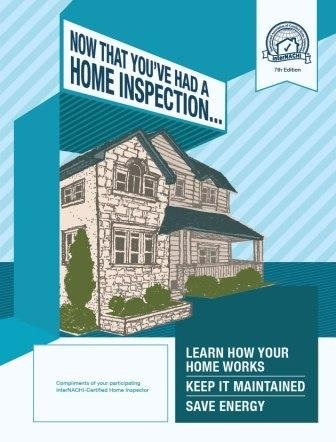 I also will bring along to the inspection, a free copy of the "Now That You've Had a Home Inspection" book. This book is 96 pages of valuable information that explains the systems that were inspected, how these systems apply to your home, and what you can do as preventative maintenance. I feel so strongly about helping you understand your home purchase that I provide a copy of this book at every inspection free of charge.